Kathleen Merrigan, the former executive director of sustainability and the director of GW’s Food Institute, left GW in June and her departure was followed by the quiet removal of a major sustainability program. An administrative departure in GW’s sustainability office this summer was followed by the quiet removal of a major sustainability program and uncertainty about the future of an administrative review of GW’s dining services. 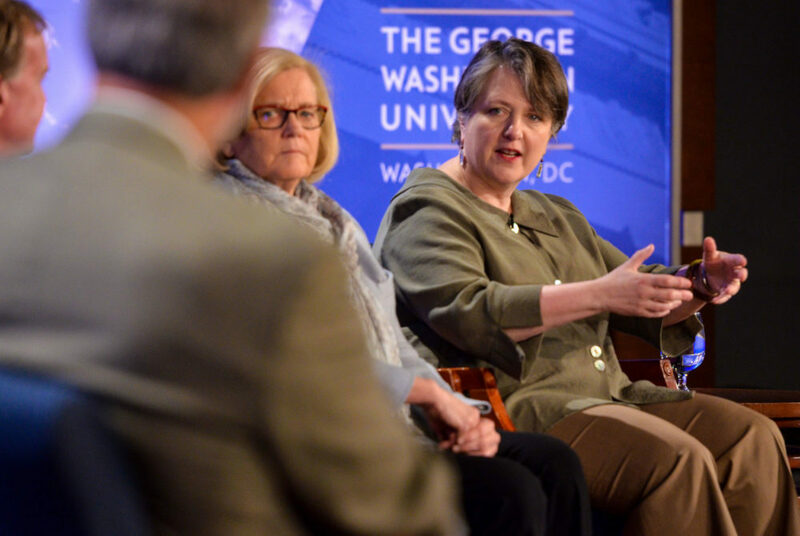 Kathleen Merrigan, the former executive director of sustainability and the director of GW’s Food Institute, said she left June 30 after accepting a position at another university. After she left, the University’s Sustainability Collaborative – a pairing of 11 different research programs that works on grant proposals and sustainability research – was dissolved, and the Food Institute moved under the direction of the Milken Institute School of Public Health, officials said. University spokesman Tim Pierce said Meghan Chapple, the director of the Office of Sustainability, and Tara Scully, the director of the sustainability minor and an assistant professor of biology, are co-directing GW’s sustainability initiatives. “The University continues to be fully committed to supporting the sustainability efforts of the faculty, students and staff,” Pierce said in an email. Pierce declined to say when the Sustainability Collaborative – which began in 2015 – was cut and why. He also declined to say what the end of the collaborative will mean for its programs and what projects have ended. Pierce said Kim Robien and William Dietz – both faculty members in the public health school – now serve as co-directors of the Food Institute. Robien and Dietz did not return requests for comment. 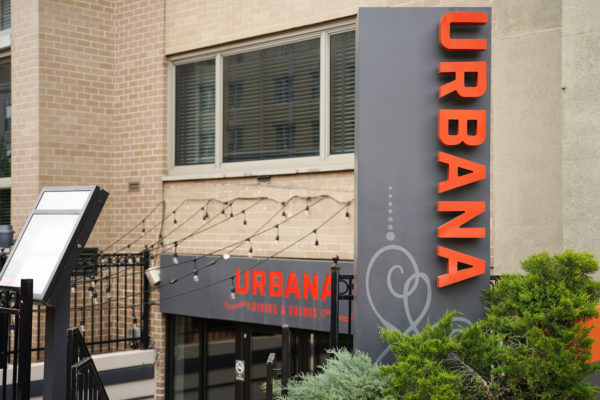 Students said officials in the Food Institute intended to review a student-led food insecurity report released in February finding that GW’s dining plan is “setting students up to fail.” The review, students said, has been put on pause following Merrigan’s departure. Pierce declined to say when Merrigan’s role will be filled and if a search for the position has been launched. He also declined to say if Merrigan was slated to review the food insecurity report and who is leading the review after her departure. Merrigan, who assumed the role of executive director of sustainability in 2014, said she now works at Arizona State University as the inaugural director of the Swette Center of Sustainable Food Systems. She said she left her position at GW because she had a “great opportunity” at Arizona State University. 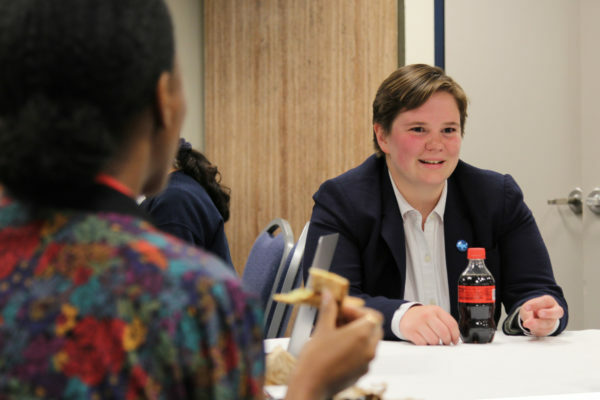 “I really felt that over the almost four years that I was at GW, we gave a big power boost to the sustainability curriculum and programming and hopefully will continue unabated,” Merrigan said. Merrigan said the Food Institute had “a lot of energy” from students, and last year students involved worked to bring issues about the quality of and access to food on campus to University President Thomas LeBlanc. She said she hopes students continue to work in the same manner after her departure. Izzy Moody, the Student Association’s vice president for sustainability, said she worked closely with Merrigan in 2017 as a fellow for the Food Institute. 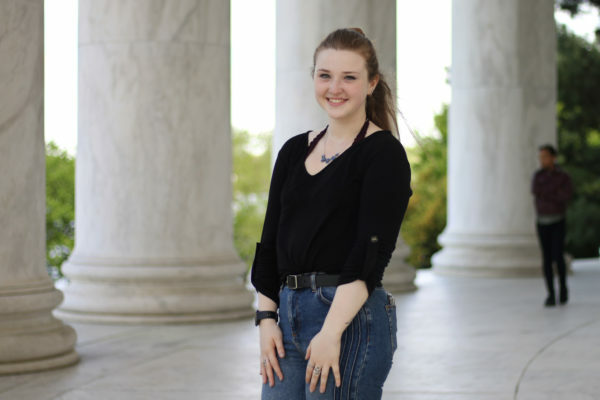 She said that following GW’s removal of the Sustainability Collaborative, she hopes to see an increase in administrative support for the Office of Sustainability and the sustainability minor. Frank Fritz, an alumnus who served as the Student Association’s director of sustainability in 2017, said he worked closely with Merrigan and alongside the Sustainability Collaborative to form relationships between different student groups and organizations to develop students’ sustainability projects. He said the restructuring of sustainability initiatives could be reflective of a change in presidents – both at GW and on a national level – and the degree to which officials prioritize sustainability. “On the surface level, this might just be a normal departure, but on another level, it could be an opportunity for the University to reprioritize their sources away from sustainability, and that would make sense in the climate of the government,” Fritz said. Peak Sen Chua, the former SA president, said GW benefited from the Food Institute’s report on dining services, which he said helped bolster advocacy efforts to overhaul GW’s dining plan in the spring. “I hope that the University will intentionally work with the Food Institute’s leadership to continue assessing the prevalence of food insecurity of all students and prioritize inventive and sustainable solutions to ensure that every student has enough to eat,” Chua said in an email. This article appeared in the October 4, 2018 issue of the Hatchet.